“It’s a huge finding that small planets can be active on a massive scale, billions of years after their creation,” said New Horizons principal investigator Alan Stern, of the Southwest Research Institute (SWRI). Another of the more surprising findings from New Horizons is the wide range of surface ages found on Pluto, from ancient to intermediate to relatively young in geological terms. 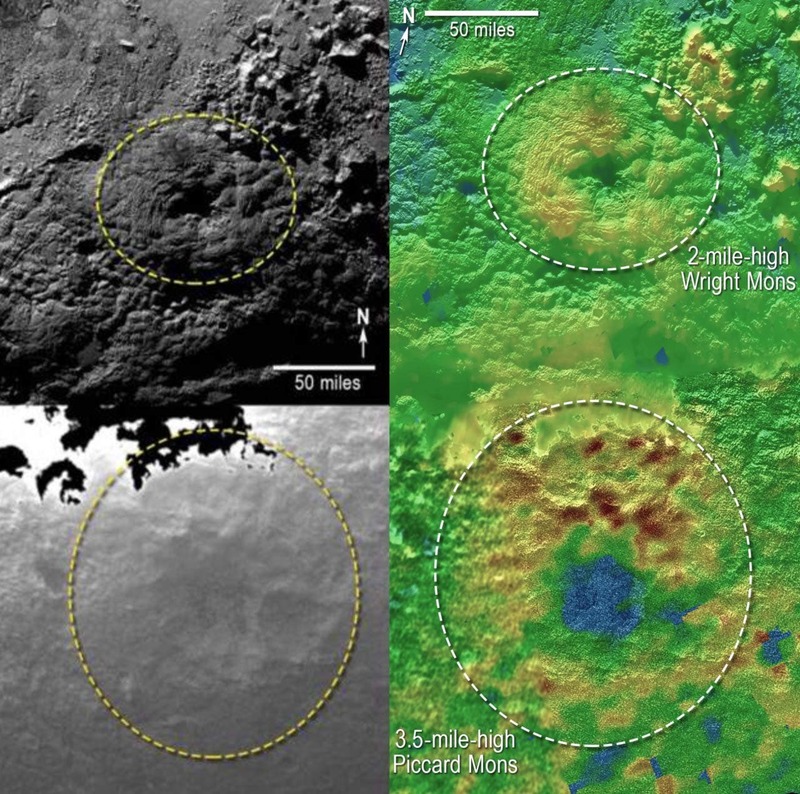 Crater counts used to determine surface unit ages indicate that Pluto has ancient surface areas dating to just after the formation of the planets, about 4 billion years ago. In addition, there’s a vast area that was geologically born “yesterday,” meaning it may have formed within the past 10 million years. This area – informally named Sputnik Planum – appears on the left side of Pluto’s “heart” and is completely impact-free in all images returned to date. New Horizons is part of NASA’s New Frontiers Program, managed by the agency’s Marshall Space Flight Center in Huntsville, Alabama. The Johns Hopkins University Applied Physics Laboratory in Laurel, Maryland, designed, built, and operates the New Horizons spacecraft and manages the mission for NASA’s Science Mission Directorate. The Southwest Research Institute leads the science mission, payload operations, and encounter science planning.